Originally from Burgundy, Chef Christian Moine studied at hotel school in Mâcon where he obtained his “Certificat d’Aptitude Professionnelle (CAP)”. He began his career in 1975 at the two Michelin-starred restaurant Greuze in Burgundy.Chef Moine arrived in Paris in 1980 and started working as chef de partie at Ledoyen, before moving on the Ritz hotel’s restaurant, both two Michelin-starred. In 1980, Chef Moine became deputy cuisine Chef of Le Meurice hotel’s one Michelin-starred restaurant. Six years later, Chef Moine became cuisine Chef at the famous Maxim’s restaurant before moving on to the Hôtel Méridien, both in Paris. In 2010, Chef Moine became Executive cuisine Chef, under Chef Yannick Alléno, at the Cheval Blanc hotel’s two Michelin-starred restaurant in Courchevel. During three summers, he was cuisine Chef at the Royal Mansour Marrakech, in Morocco. Chef Moine was then recruited as a cuisine Chef by the prestigious Parisian caterer Potel&Chabot. During his career, Chef Moine has received numerous awards in recognition of his talent, including two gold medals, one from the “Cuisiniers de France” and one from the “Académie Culinaire de France”. Chef Moine was also awarded the title of Knight of the order of Agricultural Merit. 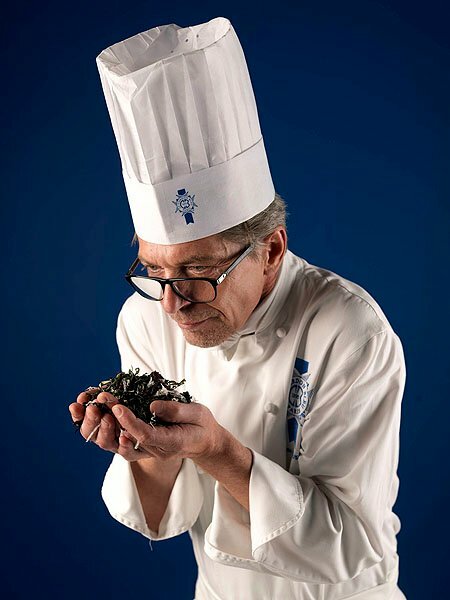 Chef Christian Moine joined Le Cordon Bleu Paris team of Chef Instructors in 2014.